Are 5* Reviews Losing You Business? 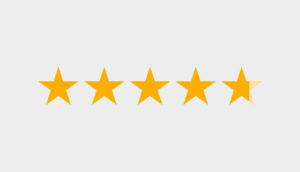 As part of the Tad Web Solutions rebrand and marketing strategy, we recently opened an account with Reviews.co.uk. Their website acts as an impartial platform for us to gain valuable insight and feedback from our clients on how we operate, how clients value their end product and most importantly, if they’d recommend us. The fact that this feedback is made public is a bonus – if we’re doing great, then our customers feedback works as a marketing tool. Is 5 Stars Too Much? 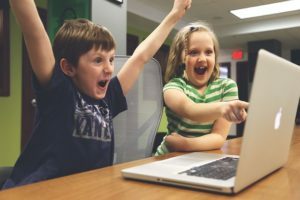 It was only a few weeks ago when I was researching a fairly large company before making a purchase, that I began to read their feedback – all of which were five star reviews. Quite frankly, it made me suspicious. Perhaps it’s in our nature as Brits to not trust organisations, but reading review after review of five star feedback almost made me more apprehensive to shop there. I almost expected to find poor reviews, could be worse-could be better reviews, but in fact they were all exemplary. I’m a firm believer that a single shop, supplier or company cannot suit everyones needs. If we are all born unique, then we all have different tastes, expectations and requirements. To be able to meet everyone’s exact requirements and be rated a perfect 5 out of 5 set off alarm bells in my head. To question my own thinking, I posted a poll on Twitter. Are you more likely to trust a business with largely positive reviews, but some average and poor, or a business that has only five star reviews? It was then that I found as a consumer, I am not alone. Question: if you read reviews of a business and every single review was 5*, would you trust the reviews, or would you expect 3* & 4* too? At time of writing, 70% of people who responded to my poll said that they would expect to see mixed reviews and therefore found that company to be more trustworthy than one with purely five star reviews. It could be said that people to don’t trust companies with perfect five star ratings as they feel the reviews are falsified. Understandably my question does not account for the review content, who the company is or how many reviews there are. That said, a landslide amount of people opted to trust a company with some mixed reviews because it would come across more authentic. It’s an old saying that “people buy from people” and “you can’t please everyone”. Authenticity is a huge factor. I posted the same question to my LinkedIn connections, and found the verdict summed up in one short sentence “All 5 stars sounds too good to be true”. Furthermore, this article from Harvard Business Review published in July 2016 found that “the average star rating has surprisingly low correspondence to established quality metrics“. Therefore whilst a star rating can be a deciding factor when choosing a product, reviews aren’t necessarily a key deciding factor. It’s easier for a business to maintain a 5 star rating with 10 reviews, but for a company, that shall remain anonymous, to have 100+ positive reviews and 5 star average rating is what seemed unprecedented to me – 5 stars is an exactly perfect track record. Not one qualm or issue. With that in mind, I wouldn’t walk in to Joe Bloggs Cafe and call him a fraud for having 5 top reviews on Facebook. However, I’d be less inclined to trust XYZ Corp if there 120 reviews were all 5 stars. 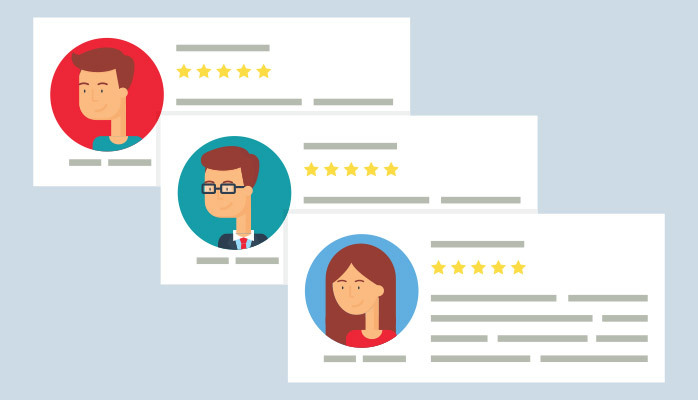 In summary, a mixed bag of reviews that are mostly positive could serve your business better than a stream of five star reviews. Four stars can be just as positive but leave some room for improvement and as humans, we’re not perfect. What’s incredibly impressive is when a company can turn a weak or strongly negative review, into an incredibly positive one. Customer service remains key across all fields regardless of your approach to it, so being able to effectively respond and manage complains is a vital part of business development and marketing. LifeHack have a great informal article on examples of making negative reviews work for your business. Don’t let this put you off from gathering feedback and reviews. If you’re truly five out of five, then your reviews will reflect that. It’s often relatively easy to spot if a review is falsified, but a huge stack of perfect reviews can raise more questions than answers. With the greatest of respect, your service may be great, but at least one customer may not give it a five star rating. Any reviews gives you an insight into what you did well and what you can potentially improve – make the most of it. Are you more inclined to put your faith into a company with a track record of positive reviews, but also some public negative feedback? Or do you persevere to find a company with perfect five star reviews?